Oklahoma State suffered one of the cruelest and most controversial losses of the college football season last September, when Central Michigan won on the final play with a wild hook-and-ladder lateral hail mary play. Of course, OSU should have escaped with the win, as officials made a huge mistake in awarding CMU an extra untimed down instead of ending the game after an intentional grounding play. The Mid-American Conference admitted the mistake and suspended the officials in charge of the game, but despite the blunder and a scorching op-ed from OSU’s student paper, the result stood and CMU was awarded the win. Just don’t tell OSU coach Mike Gundy. 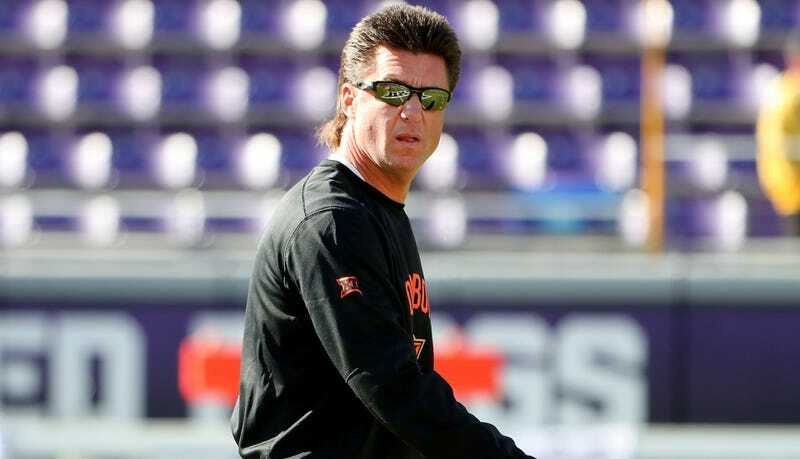 Mike Gundy is the last true coach.